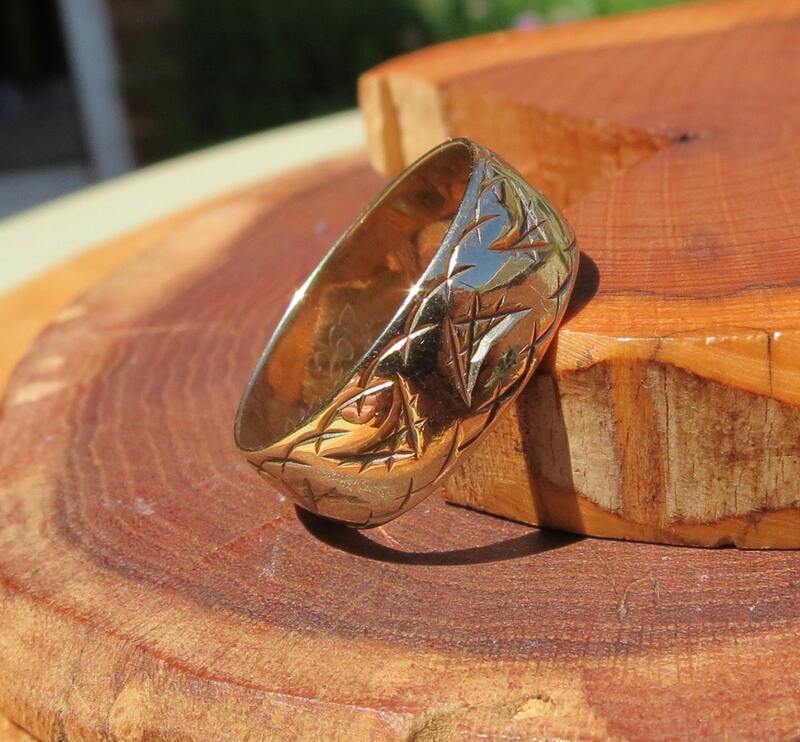 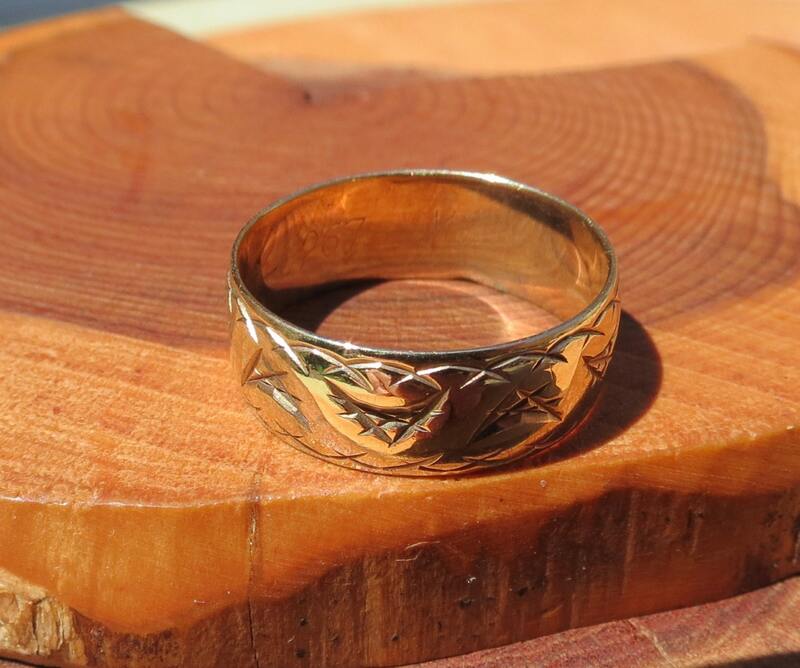 9k yellow gold engraved, vintage wedding ring. 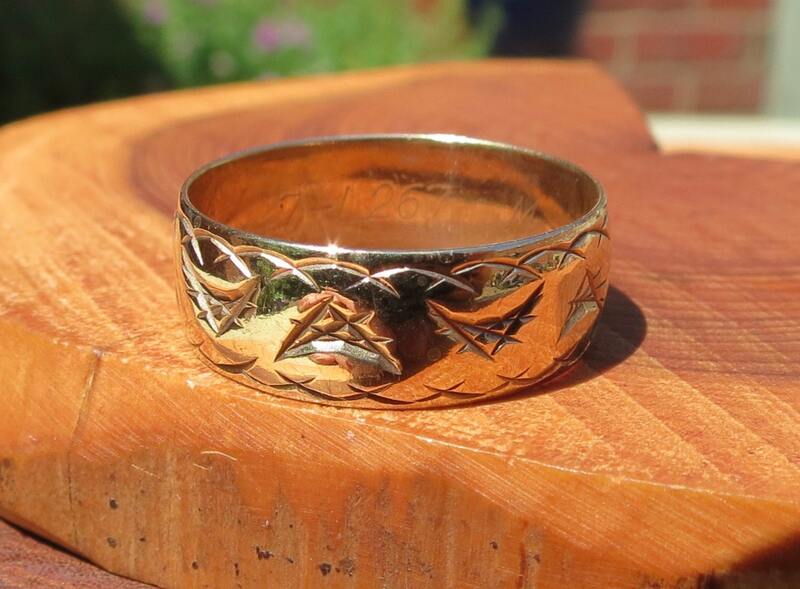 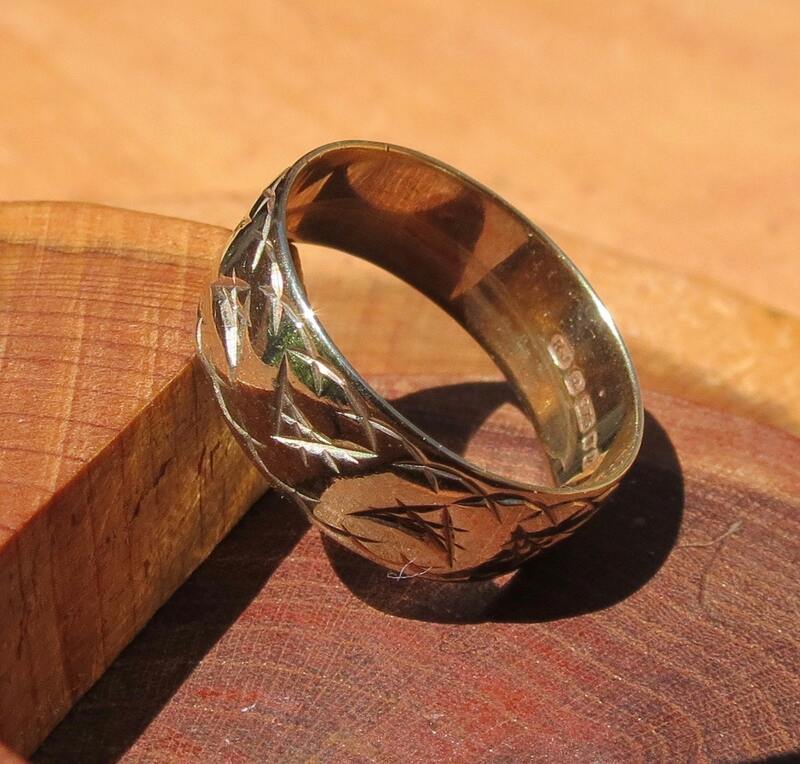 This wide band 9k yellow gold wedding band has engraved work of a geometric design. 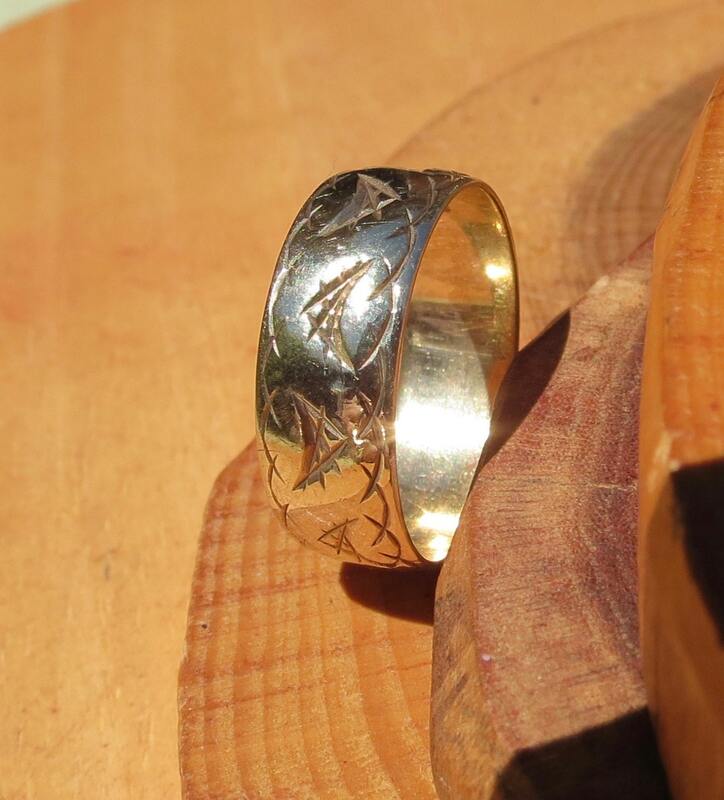 The band is 6mm wide (1/3 inch), English hallmarks.